Welcome to my blog. 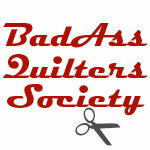 Tag along with me as I learn about quilting on a longarm and frame. I have a Voyager 17 and Hinterberg Stretch frame – setup in my living room in March, 2010. 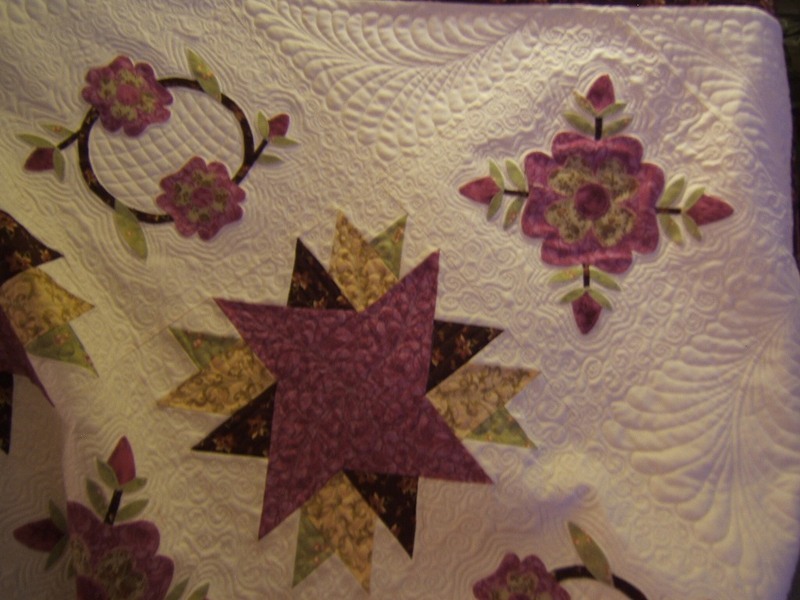 My latest quilt is Pretty in Purple – a design I created, pieced, and quilted. It consists of fused applique and pieced blocks, set on point. I quilted it (my 4th “real” quilt) on my Voyager and frame. When I removed it from the frame, I said “How pretty!”; thus, the name “Pretty in Purple”. 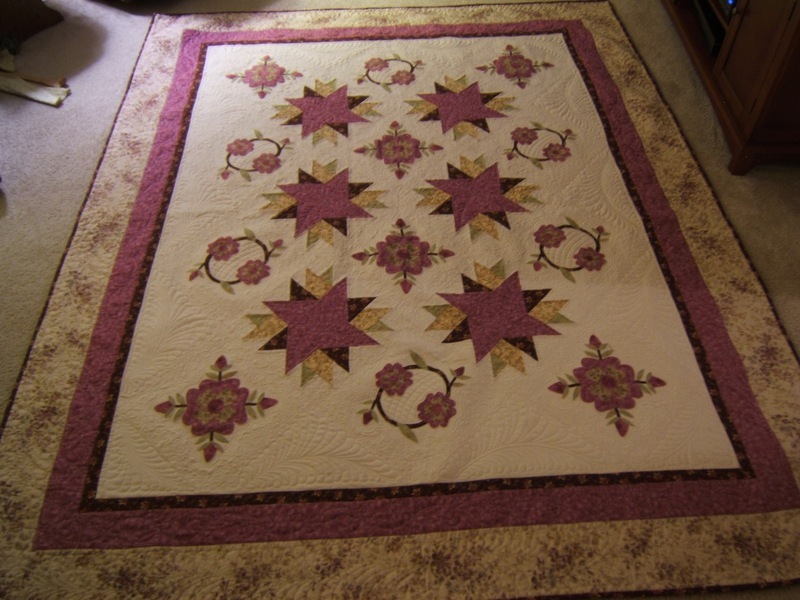 I finished piecing the quilt just before I received my machine, and waited until I felt I could do this justice. I think I did ok – my husband says it’s his favorite! Here’s a closeup of the blocks. Click the image for a larger view.